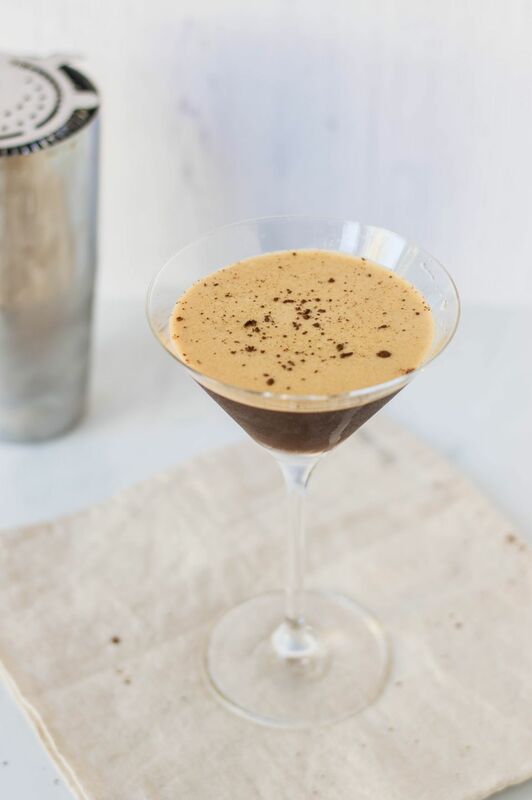 Coffee-flavored Martini recipes are very popular today, and this version of the espresso Martini uses chilled espresso to give it a caffeinated kick that you simply can't duplicate with coffee liqueurs alone. This is a very basic recipe for an espresso Martini and is quite easy to mix up. The best part is that it's likely that you have everything you need right there in your bar or kitchen. It includes a hint of chocolate to add dimension and because creme de cacao is not a creamy liqueur, you still retain that great dry martini profile. This is great as an after-dinner drink, happy hour cocktail or anytime you desire a cocktail and a little pick-me-up at the same time. As with any vodka Martini, the vodka you choose is going to determine the overall quality of the drink. That said, there are some heavy flavors here so it is not entirely crucial that you pour the best vodka you have in stock. There are some fantastic budget-friendly vodkas available, and you shouldn't hesitate to use one of them in this cocktail. If you want to step your Espresso Martini up another notch, use an espresso-flavored vodka. On the other hand, you can skip the creme de cacao completely and start out with a chocolate or vanilla vodka, as well. The one element of this cocktail that is most important is the espresso. In today's coffee-conscious world, it would be a shame to use anything other than a great cup of espresso to make a Martini. If you have an espresso machine, go ahead and pull a few shots and put them in the freezer for a quick chill. It is important to add cold espresso to the shaker, as otherwise your ice will melt too quickly and throw the whole balance off. For those who do not have an espresso machine or at least a moka pot, there are now some fantastic ready-to-drink espressos available. A number of coffee shops around the world are brewing up their coffees and selling bottles or cans online and in stores. Explore these options because there are some great finds out there that go far beyond what Starbucks offers. A nice brand of cold espresso is High Brew Coffee. This Austin, Texas-based company specializes in cold-brew coffees and sells 8-ounce cans. Their flavors include Black & Bold, Double Espresso, Salted Caramel, Mexican Vanilla and Dark Chocolate Mocha. Each of them is spectacular and will make a fantastic espresso Martini. How Strong Is the Espresso Martini? Between the caffeine and the alcohol, the Espresso Martini is not the most gentle of cocktails you could drink. As with most Martinis, it is relatively potent at around a 23 percent ABV (46 proof).